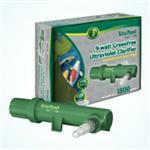 The right pond algae control supplies can help you keep your pond healthy and beautiful. No one wants to have to deal with a large amount of algae in the pond! 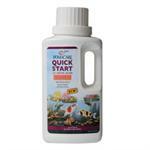 Get that algae under control with our pond algae control supplies. Here at Pond Depot, we want to help you keep your pond beautiful and healthy. We want to help you with your pond algae control! Crystal Clear Biological Clarifier Plus 8-OZ. UltraClear S.S.T. Super Strength Treatment 12 OZ. UltraClear S.S.T. Super Strength Treatment 32 oz. Crystal Clear Biological Clarifier Plus 2-LB. 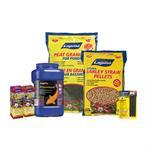 Everything you need to prepare your pond for it's spring opening. Crystal Clear Biological Clarifier Plus 6-LB.